The Taking of Porto Bello by Adml. Vernon, Samuel Scott, 1741, Brown University. Samuel Scott's works have been featured here more than once. 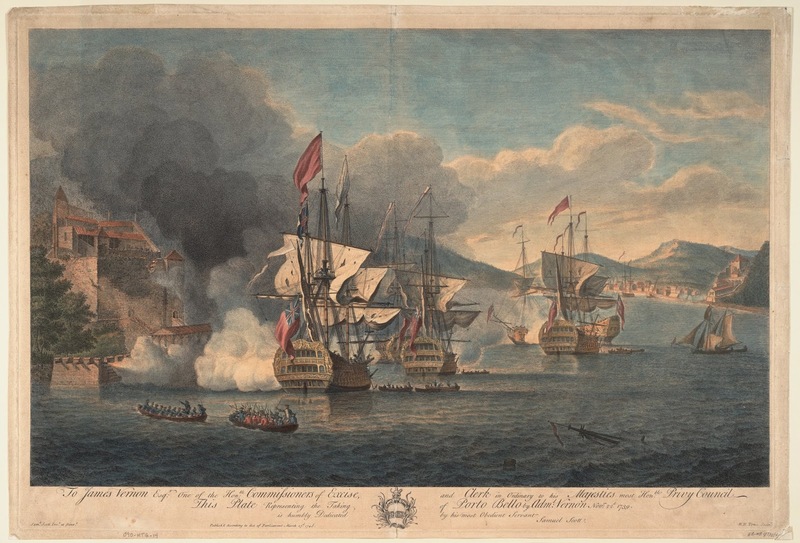 This engraving of one of his earlier pieces depicts the widely acclaimed victory of the British fleet under Vice Admiral Edward Vernon over the Spanish garrison of Portobello during the War of Jenkin's Ear. Though he was not present at the battle, Lawrence Washington would serve under Vernon as officer of acting marines aboard his flagship. Given the legendary exploits of the Admiral, Lawrence would name his estate after him, eventually passing it on to his brother George Washington, for whom Mount Vernon is most famously known. Scott's image is primarily concerned with the ships giving fire to the fortifications ashore, but we do get some good images of sailors working the ships or dragging the troops ashore. 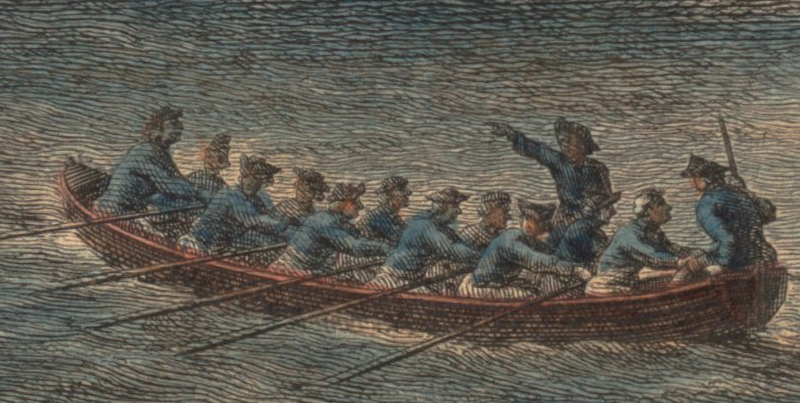 The sailors in this craft are uniformly dressed in blue short jackets. Their jackets are notably short, fitting tightly around the waist. The crew wear a mix of round hats and cocked hats, some with the cocked hats reversed. All wear white trousers. Here the sailors aboard the ship of the line (complete with its decorative carving of Neptune) are similarly clad in white trousers, blue jackets, and the occasional red waistcoat or jacket. Round hats dominate this crew, though some of the tars may be interpreted as wearing cocked hat.